The appointment of Professor Gray Goziem Ejikeme as Deputy Vice Chancellor of University of Jos is a round peg in a round hole, members of the Nigeria Association of Social Work Educators (NASWE), have scommendedaid. 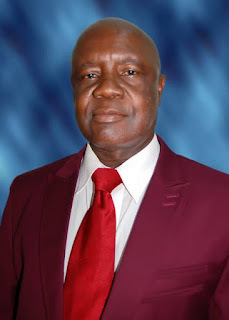 Professor Ejikeme (FNPA) who is a member of NASWE was appointed Deputy Vice Chancellor (Administration), of University of Jos in December 2018. The association which is the umbrella body of lecturers teaching Social Work in all the tertiary institutions offering Social Work in Nigeria gave commended the appointment in a congratulatory message sent to Ejikeme, a copy which was made available to journalists in Ibadan by its National Secretary, Associate Professor James Ayangunna. Ejikeme, a Professor of Social Work and Clinical Psychology, was appointed as Deputy Vice Chancellor (Administration), University of Jos in December with the appointment taking effect from Monday 9th December 2018. Two new DVCs appointed by the university are Professor Tanko (Academic) from ICT Directorate and Professor Ejikeme from Sociology Department. The duo replaced Professor N. Ochekpe and Professor Theresa Nmadu respectively who have completed their terms in office. The NASWE Secretary, Ayangunna who lectures at the Department of Social Work University of Ibadan in the letter written on behalf of NASWE members described Ejikeme, a former Dean of Social Sciences, University of Jos as a committed, hardworking and founding member of NASWE since 2010. The statement reads in part, "I write on behalf of the Executive Committee members and the entire members of the Nigerian Association of Social Work Educators (NASWE) to congratulate you on your recent appointment as the Deputy Vice Chancellor (Administration), University of Jos, Jos, Nigeria. "You have been a committed, hardworking and founding member of NASWE since 2010. You have mentored many young social work educators and others alike, an erudite scholar of international repute. "As Editor-in-Chief of our Journal: Journal of Nigerian Social Work Educators, you have brought it to an enviable position among reputable journals. NASWE recognises and appreciates the sacrifices you have made for the progress and development of members and the Association. "We have no doubt in your ability to excel in this new position as DVC (Administration) considering your experience as a positive EXCO member of NASWE and former Dean of Faculty of Social Sciences, University of Jos, Jos. We wish you a successful tenure and more positive achievements of life. Please accept our felicitation".